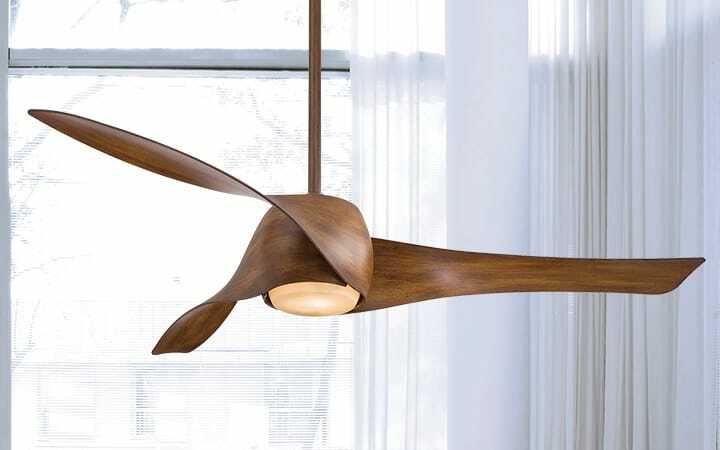 Ceiling fans are too often overlooked during your regular housecleaning routine. Here’s how to start fresh for any season. 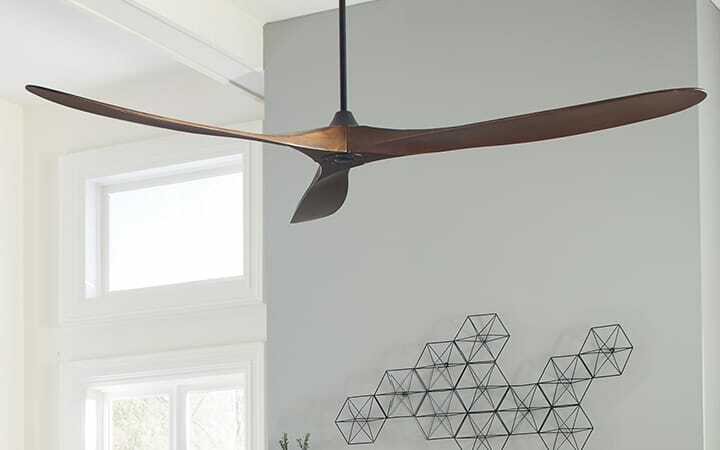 Being as they’re up and out of the way, ceiling fans are often something you take for granted and forget about when doing your day-to-day housekeeping. But if there’s one thing you can’t forget before starting your fan up this summer, it’s making sure that it’s nice and clean. Besides the general dust that settles on everything we own, fan blades have a tendency to build an edge of dust in the direction the blades spin. This can get especially bad with wood-toned or dark blades that can hide build-up. Before you begin cleaning a ceiling fan, remember, safety is critical. If your fan is over a table, seating areas or a bed, the first step may be a little moving. Get furniture out of the way, so you can safely access the fan while standing on a step stool or ladder. Make sure your step stool or ladder is in good condition, is rated for the job you are asking of it and, of course, that you are using it correctly. Then, to keep a fan cleaning from ruining the rest of your room, laying down a dropcloth or tarp can keep dust and grime in check…and from dirtying your new duvet. That being said, deeper cleanings may still require you to get up close and personal. If you really let things go over the winter, start by grabbing a stick duster to snag any cobwebs hanging around. Then use a dust-trapping cloth or duster to grab major dust build-up. This will help to keep your mess as localized as possible. Tall ceilings can make cleaning tricky. Custom spaces call for custom solutions. You may need a specialty ladder for high ceilings or, if the space is really tall, you may consider renting a scissor lift. While you have it, take the chance to service any recessed lights and touch up any ceiling painting if needed. You can also use damp cloths to clean ceiling fans without pushing too much dust around. To protect blade finishes, just make sure that any cleaners you use are gentle and alcohol-free; baby wipes are a great option. Once you get the major dust down, go back over things with a clean, dust-free cloth to remove any stubborn bits that are left and prevent spotting from any moisture. Keep swapping out cloths once they get dirty to make sure you are not just pushing dirt around. If your fan operates near a kitchen, it may acquire a greasy build-up that can trap even more dust. In this case, damp cleaning with a cleaner is pretty much required. For polycarbonate and metal blades, a touch of mild dish soap can help with degreasing. For wood blades, a wood cleaner can be used. Always check the manufacturer’s instructions to make sure you will not damage a finish. The upper cover or top of motor housing may also have build-up. Treat it the same way as the blades. For outdoor fans, you can really bust out the H2O. 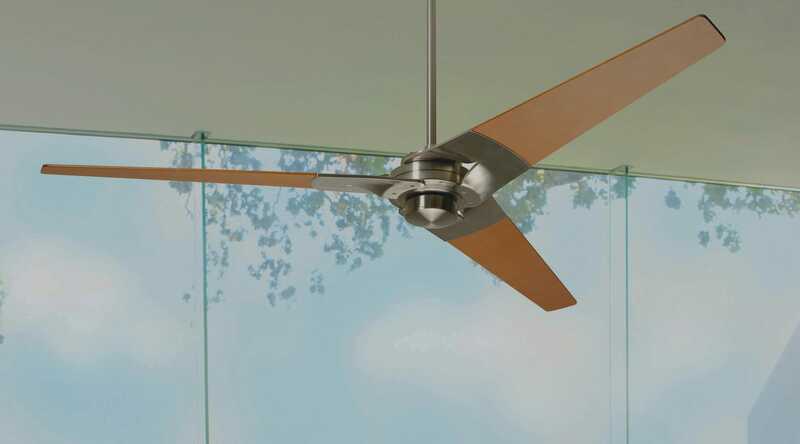 Damp-rated fans should use much the same process as indoor fans. The chances for getting cobwebs is quite a bit higher, though, so get those knocked down first. As outdoor locations also tend to get a lot more dust, get out those baby wipes and take it from there. Wet-rated fans can be the easiest to clean, as they are designed and tested to withstand water. Once you dust it down, you can wipe with a damp or wet cloth to get it fresh and clean. Or go ahead and hose it down. Wet-rated fans are tested with a hose, so you can safely use a standard garden hose periodically to keep your fan clean. Power washers are another matter, of course, as a wet rating doesn’t necessarily mean a fan’s housing, finish or light kit can withstand such pressure. Again, double-check with the manufacturer’s instructions. Many wet-rated fans with light kits have a hole in the bottom of the glass to allow for water to drain through. This can get dirty over time, so be sure to periodically take the shade off and wipe it down. Cleaning time can also be the perfect chance to make seasonal adjustments. Most fans have forward (summer) or reverse (winter) settings. If you set your fan over to the winter setting, this can be the right time to change it over—and vice versa. Most fans will have a switch either on top of the motor housing or under the light shade. If you are not sure, refer to your installation manual. 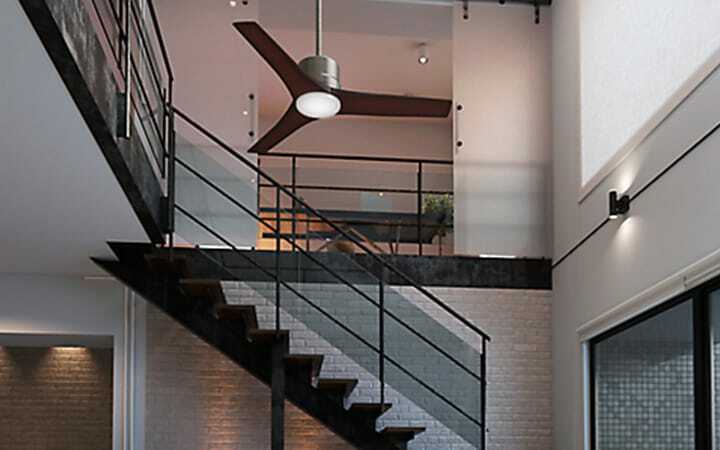 Some fans, including all DC-motor models, offer the convenience of changing a fan’s direction from a wall control or remote. While you are cleaning and adjusting your fan, it is also a great chance to look things over and make sure everything is in good working order. Inspect blades to make sure they are not damaged and are mounted to the motor securely. If they are loose, make sure to tighten them or replace them if damaged. For outdoor fans, look out for drooping blades; you’ll definitely want to replace those. If your fan includes a light kit, make sure the bulbs are in operational order, and replace any that aren’t. Also check that the shades or diffusers are mounted securely and have not worked themselves loose over the previous year. With all these steps taken care of, you will have a ceiling fan that is clean, in good working order and able to provide you comfort all season long.